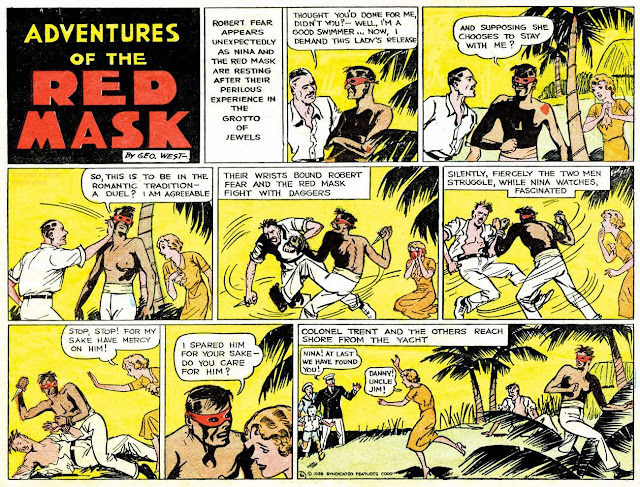 it's all one thing: The Red Mask, the first black masked hero or a white man who passed as black? 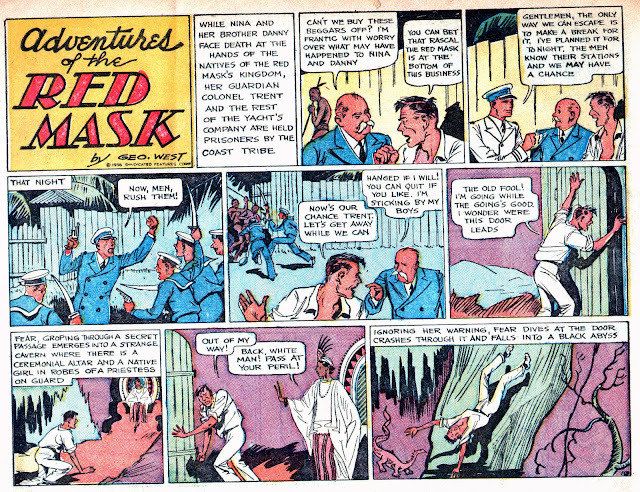 The Red Mask, the first black masked hero or a white man who passed as black? 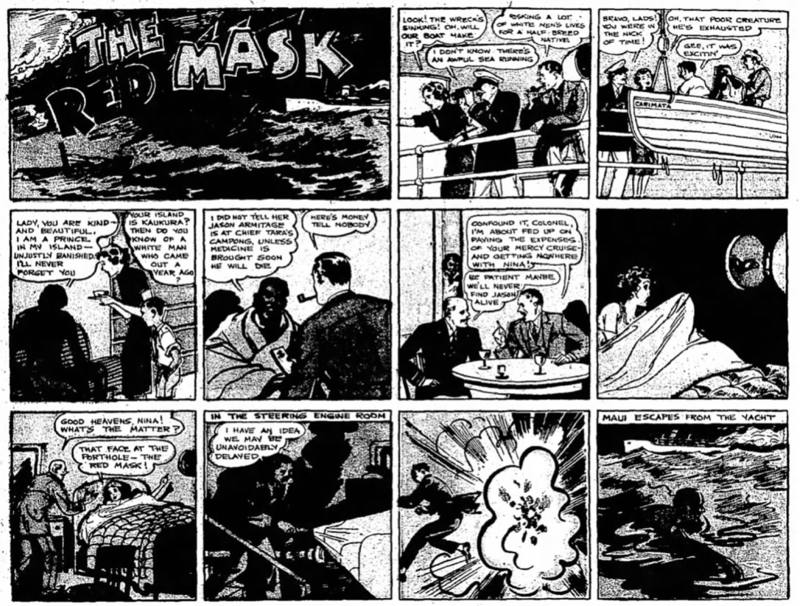 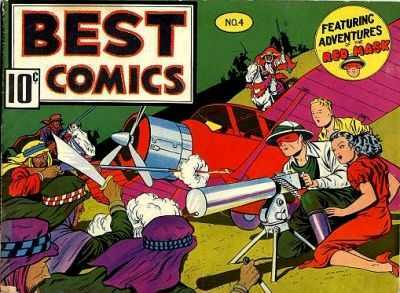 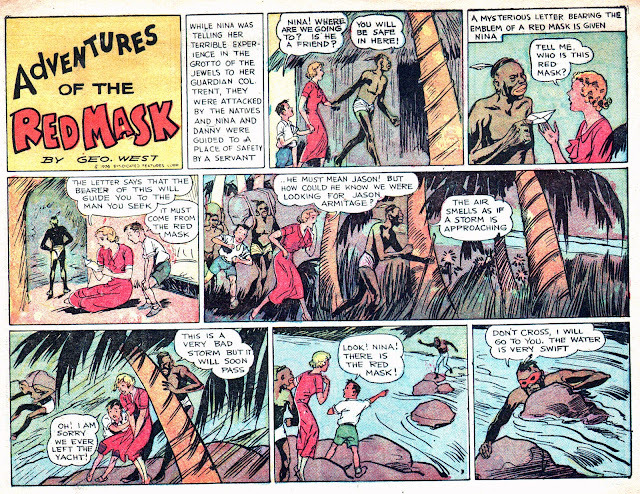 Some readers argue that the Red Mask, a dark-skinned man who was clearly inspired by the Phantom, was the first black comic book superhero. 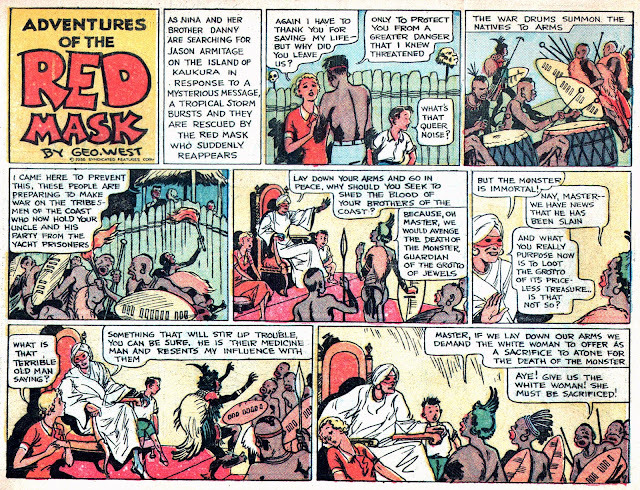 Some insist he was a white man who acquired a dark tan after staying in Africa. The mystery of his identity had not been revealed when his newspaper strip was cancelled in 1936. 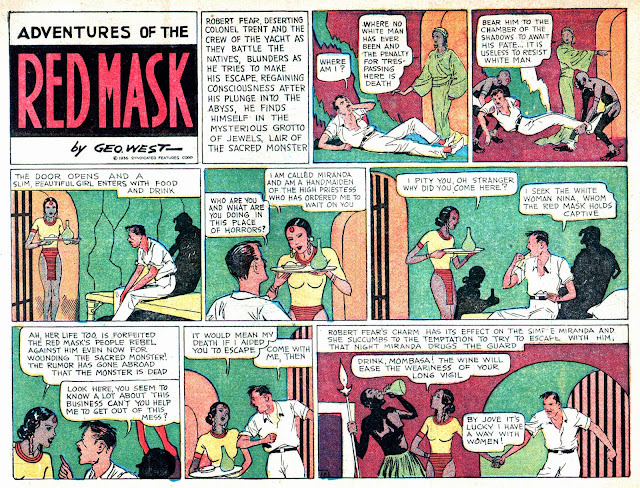 He is Schrodinger's black masked hero. 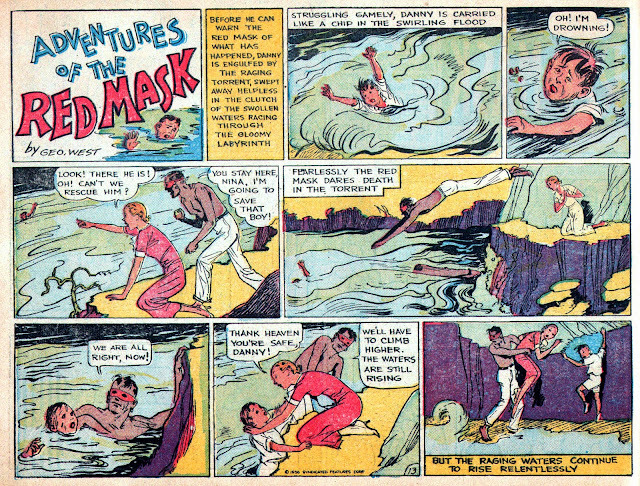 But even if the writer intended to reveal him as white, the white cast thought he was black. 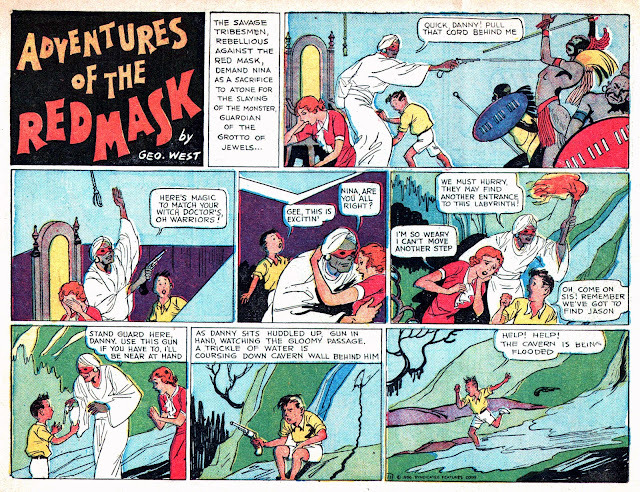 Either way, he's an unusual character in the very white history of masked adventure heroes. 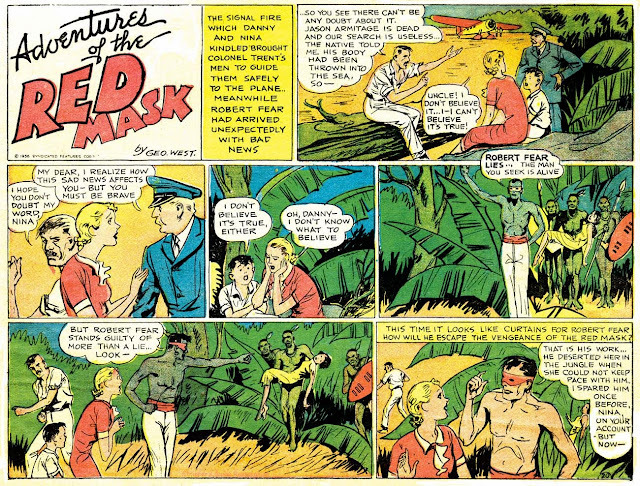 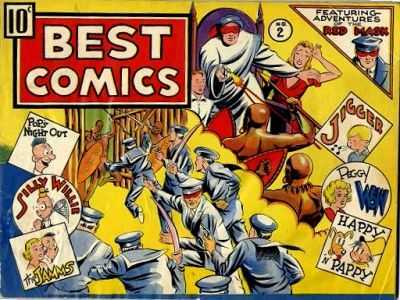 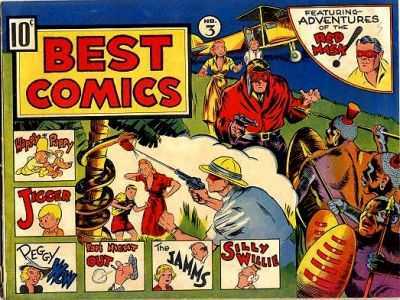 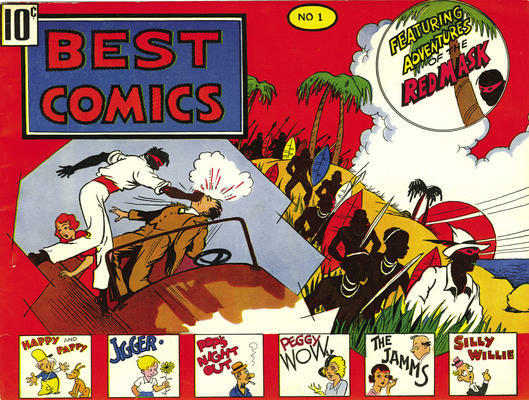 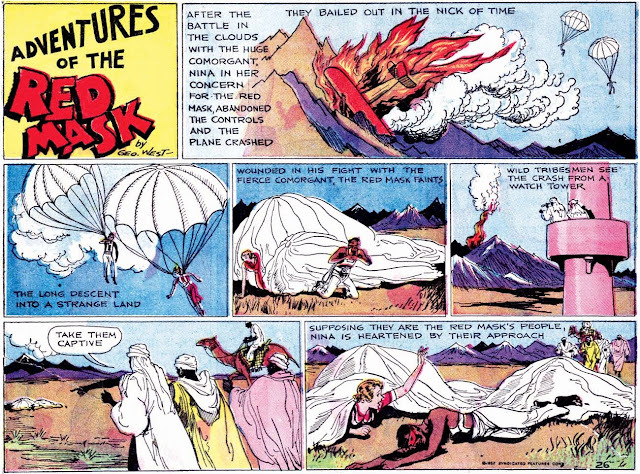 The following is a chronological arrangement of all the parts of his story that I've found online, drawn from Stripper's Guide: The Comics of Syndicated Features: Adventures of the Red Mask and Out Of This World: Early Black Comic Book Heroes: The Red Mask. 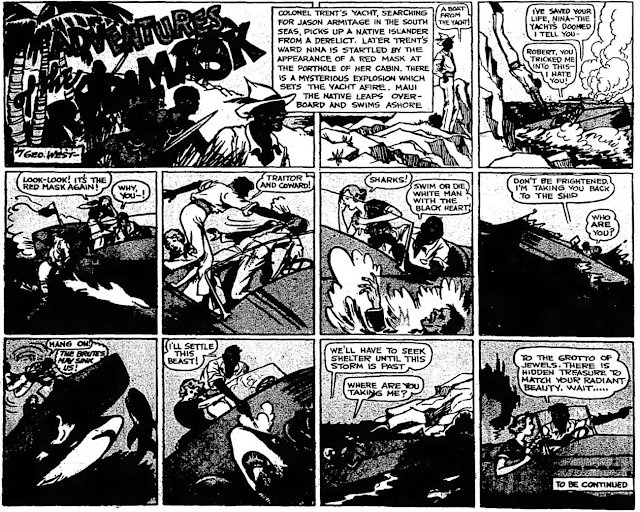 Sadly, the scans of his first adventures are in muddy black and white, but the dialogue is clear.